Our new reachstacker is the result of all the years of experience we’ve gathered ever since we pioneered the world’s first commercial reachstacker. Now we’ve taken it a step further, increasing efficiency and reducing downtime. Because the most important thing we’ve learned through all these years is that it all comes down to one thing: keeping your business on the move, no matter what. The Generation G reachstacker is the outcome of more than a decade of advances in operating efficiency. Through extensive testing with operators, maintenance personnel, production and terminal managers round the world, we were determined to improve every detail to better meet the needs of today’s cargo handlers. All over our new reachstacker you’ll find improvements that increase operator efficiency – not least in the cabin. With its panoramic view, intuitive interfaces, proactive monitoring and a comfortable seat designed for long shifts and demanding operations, it brings out the very best of every operator. Learn more about how our new reachstacker can keep your business on the move. Take your equipment safety to the next level with our enhanced Safety Solution package which includes a number of automated safety features that will make your operations even safer. The features included in the package can also be fitted to any Kalmar reachstacker or empty container handler, as well as most other brands of these types of equipment. Ports of Stockholm, one of the top five container terminals in Sweden, wanted an upgraded fleet, a better work environment for drivers, and improved fuel consumption. They got all that – and more. Richardson Stevedoring & Logistics was founded in 1969 as a direct discharge and storage operation at the Port of Houston. Today, it owns and operates multiple sites with a focus on stevedoring, transport and logistics across intercoastal water systems. 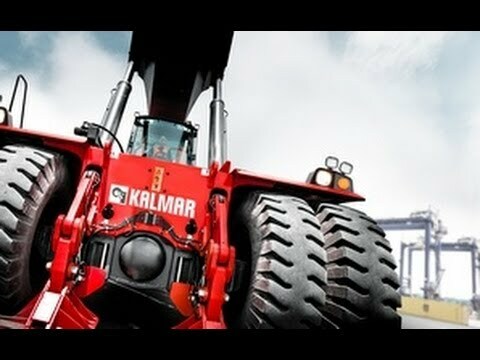 The company has been a Kalmar client for over 10 years. Delivering vital car parts to their destination according to schedule demands accurate timing and perfect coordination. BMW’s logistics centre relies on Kalmar reachstackers and terminal tractors to keep things running like clockwork.